Facebook/Children’s Healthcare of AtlantaAmelia Ballard was a patient at Children’s Healthcare of Atlanta. Now she works there as a nurse. By the time Amelia Ballard got to kindergarten, she’d already battled cancer twice. Now, she’s returned to work as a nurse at the same hospital where she was treated as a child, ABC News reports. Ballard was diagnosed with acute lymphocytic leukemia, a cancer that primarily affects young children, when she was 17 months old. She was admitted to Scottish Rite Children’s Hospital (now known as Children’s Healthcare of Atlanta) and underwent after 27 months of treatment. Soon after, she relapsed. The second time around, she underwent aggressive treatment, including chemotheraphy, radiation, and a bone marrow transplant from her older brother. Despite some complications, the procedure was a success. Ballard has been in remission ever since. 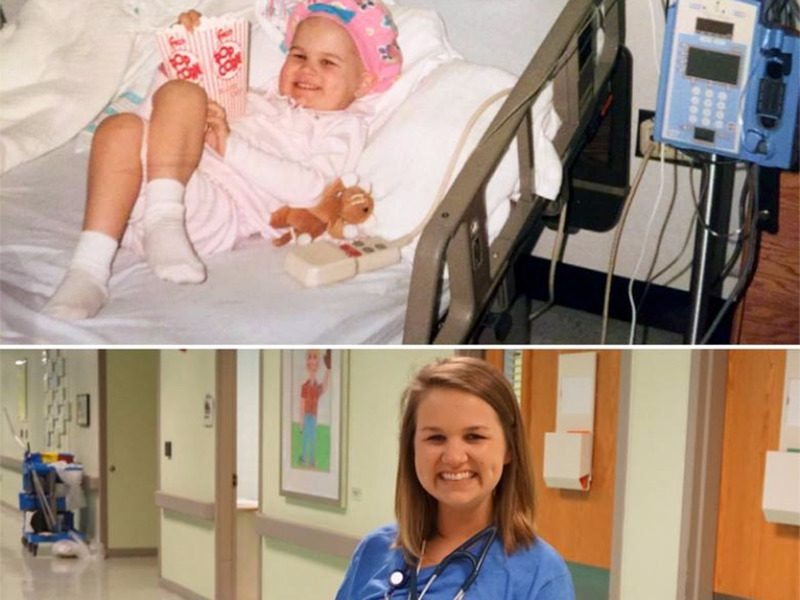 This May, she graduated from the nursing program at Georgia Southern University and returned to the very same hospital where she was treated so many years ago. Children’s Healthcare of Atlanta shared the news in a Facebook post last week.